Today, I leave for Africa. I’ve never been there before, and honestly, this is the most nervous I’ve been about overseas travel in a long time. So why leave my family for a week and a half with nothing but a backpack, my laptop, and a few changes of clothes? For the next 10 days, I’ll be visiting several cities and villages in Uganda and Kenya and writing about the whole experience. It’s not enough to just write. A writer needs to live, too. I’m not saying you have to create the most epic experiences ever, but there comes a time when you must reconnect with the things that inspire you in order to write them honestly and well. For someone who talks about making a difference, that means occasionally stepping out of my own comfort zone and connecting with what matters most to me. Because without a life worth writing about, words start to feel stale; they become hollow and meaningless. Last month, my wife and I decided to sponsor a child through Compassion, a nonprofit organization that seeks to eliminate child poverty in the world. This past year, we’ve been blessed more than we deserve, and it doesn’t feel right to not share those blessings with those in need. For less than $40 a month, we’re able to change a child’s life — that blows my mind. On the first leg of this trip, I’ll be meeting Miriam, our sponsor child. Part of the reason I’m going is to share the stories I encounter and to encourage you, if you feel called, to find your own Miriam. Ever since a life-changing study abroad experience in college, I’ve loved traveling. I’ve been to Taiwan, Italy, Portugal, France, Spain, Costa Rica, Mexico, Puerto Rico, Guatemala, and maybe a few other places I’m forgetting. I travel not just to have an adventure but to gain perspective — to remember that the world is bigger than my blog and that I am still a work in progress. You don’t build a platform so that people can make much of you; you build a platform to change the world. The last leg of my trip will be a four-day trip through Kenya, where I’ll be visiting the entrepreneur center that we helped fund (and “we” means all of you who took my Tribe Writers course and/or gave a generous donation). When I first started this blog, I thought I was just creating a way for people to read my words. Little did I know what was being started, in spite of my mixed motives. But once folks start connecting to content, a community is formed. And with community, you can do incredible things. Things like change kids’ lives and make an impact on a community halfway around the world. That’s what this blog is about: not just an opportunity to make much of me or even to teach you to be a better writer. What I’m trying to do here is convince you of something I’m just beginning to realize: that your words matter more than you realize. And words plus action make for a powerful, sometimes beautifully dangerous, combination. I hope you follow this trip (the best way to do that is to subscribe via email to this blog). I’ll be writing and publishing more than usual, but my hope is you’ll stick around for the whole journey. It’s going to be something that hopefully changes all of us. When is the last time you did something that scared you? share in the comments. Have a great trip bro. When is the last time I did something that scared me? Today. I wrote an email of apology. That was scary. This is so great, Jeff! Your life is going to be wrecked for the better once your feet hit the dusty soil of Africa. Be prepared for major culture shock. I had traveled all over the world before my first trip to Africa, but nothing could have prepared me from what I experienced and observed there. It’s terrible and wonderful all at the same time. This will be an awesome “mountain climbing” experience for you that will shift your perspectives until the day you die. Safiri Salama, friend. Write Salama too. This sounds amazing! I look forward to reading all about it. Have a safe trip! That’s so exciting – it’s great to do things we feel nervous about! Look forward to following you in this journey. That’s cool. My husband and I just signed up the sponsor a child through Compassion today. She’s the age of our oldest child (7). It’s her birthday tomorrow – our Compassion child – and I’m really excited that we got to give her sponsors for her birthday! The last time that I did something that I was scared to do. I can’t remember. That’s sad. You’re an inspiration. I’ll get there soon. Thanks for taking me with you. Can’t wait to read about your trip and join the excitement as you experience it. It will be amazing and will probably wreck you at the same time. Stay safe. Faith not fear! That’s what always carries me through the scary times. Have fun and enjoy the journey!! We’ve sponsored a Compassion Child from Nicaragua for the last 7 years (as memory serves me). It has been wonderful watching her grow up from a distance! Last year I did a paragliding jump for charity It was my 70th year and I was terrified of heights, but I did it twice and o my . Enjoy the trip Jeff…a few Swahili words..Asante…thank you, Jambo..hi…mzungu…a white man…(you’ll hear this alot) from a Kenyan in Sweden:) Good work with Miriam! praying for you and the team, Jeff. I know your feelings. I set out on a similar compassion kenya vision trip this past june. it unsettled me to the core. it was the farthest i had ever been away from my family. the cool thing, by risking to make the trip, is the story i’ve been invited to share more times than i can count and the impact that has made…on me and on those i’ve shared with…its humbling. even today, that story was the prelude to a teaching i gave for a young men’s retreat. risk it! safe travels. God speed! I am excited to read about all that you encounter in Africa. My church is sending a mission team to Kenya through Mission to the Fatherless this August. I wish I could go, but it didn’t work out this year. I hope to go on the next one. The last time I did something that truly scared me was when I started my blog this year. Putting my writing out there for the world to see was not easy! Definitely scary. Way to go, Ellen! Jeff, a fine journey to you. You seem to have a thoughtful, open attitude about the journey and what it offers to you and what you can offer to it—I hope both are gratifying. I taught English for a year on a tiny island in Micronesia and many were the moments I was frustrated and discouraged, but overall I think it was a good thing, not merely for me. Safe travels! Excellent, Jeff! That’s exciting! I have a friend in a small village in Kenya who is trying to out together a farm compound to grow food year around and make a home for the church he pastors and help raise many street kids. I’ll be looking for your reports! Have a wonderful time Jeff! As someone who has also traveled the world, I can say there’s no better inspiration for writing. Seeing truth, and meeting people who live life so differently is the most rewarding experience. It’s a perspective you just can learn any other way. It is awesome that you get to travel all around the world. That is something I always wanted to do. I just had my first christian book published on January 23, 2014. I really enjoy writing and I have read some of your writing which inspired me to start writing again. You are right I need to start writing because it is my passion. You also inspired me to start sponsoring a little girl. I cannot have children anymore, but I can sponsor a child. Who knows where God will take me. I was scared to get my book published, but Jesus showed me there is no fear in love. I took a chance. Hope your trip is very blessed! I love the idea of adventure, in even thinking of joining the Navy to be a Navy Seal so I can really adventure the world, helping people out in conflicts. Also I really want to know my limits and have a life adventure during my life. Make an awesome story all through out that time. And i also believe the quote “when we are lost is where when we truly find ourselves. I also like the training that I will receive, to truly master my mind and body. If anyone has an opinion on what I think of this, feel free to respond! We had a chance to meet our Compassion child in Uganda in 2010 – incredible trip, and a wonderful girl! So excited for you, can’t wait to read your blogs! Looking forward to following your trip. Although I can not physically travel to Africa, my students and I have been working with a school in Kabadula Malawi this year. This started by my reviewing a book set in Africa, meeting with the author by email and then being introduced to teachers at a school. To see how much my students wanted to do for others and their concerns for others they don’t personally know is inspiring. I hope your trip brings you the inspiration you are destined to find. God bless you on this journey. God Bless you Jeff — I look forward to meeting our Compassion child someday. Our little fellow Allan is in Guatemala. The last time I did something scary was signing the papers to sell our bed & breakfast. After 10 years of welcoming the world to our home it’s time for us to get out into the world. Thank you from the bottom of my heart for sharing your life & story. Thanks for a great article. I am excited for you that you will be traveling to Africa. I am looking forward to reading your blog posts from there. I have set a deadline to start a blog. I have had a lot of fearful thoughts about whether it will be successful or not. I want to press forward and not give into my fears. Thanks for inspiring us. Totally jealous…in a good way. My pastor’s daughter lives in Uganda and ministers there. I would love to go see her and those she is helping. My “daughter” Florence, through Compassion, lives in Kenya. I long for the day when I can go see her. I can’t wait to “see” through your eyes. Thanks for bringing us along and tell Hannah (in Uganda) and Florence (in Kenya) hi from me! The last time I did something that scared me was three weeks ago: my wife & I bought a car, on impulse, on vacation. Three weeks in, we have no regret. Prior to that I ran for Mayor of my city: I didn’t win the vote, but I won over a number of critics. good luck with the trip Jeff – sounds like an awesome adventure! Jeff, you will fall in love with Uganda her people. My husband and I took our kids there to meet our sponsor children last April and our hearts have never been the same since! This was def a leap of faith for us (and scary & exciting all at the same time!) Looking forward to hearing about your travels! I hope you have a wonderful, exciting and safe trip, Jeff! I’m looking forward to your stories! As for me… The last time I did something that scared me was actually last week, when I applied as a volunteer for a project in a local library. It was a first for me (I’m 18), and definitely a huge step out of my comfort zone, so I was quite intimidated. Good news is, I received an invitation to an interview! Jeff, have a wonderful trip. I will pray for your experience and look forward to growing along with you. God bless you, Jeff, with safe travel, life-changing experiences, and divine appointments along the way that will allow you to touch lives with God’s love. Enjoy! I love Africa. It was lots of fun when I did missions in South Africa. Before I left, on the last day I was able to attend a safari. Wow. That was years ago. Have fun, and the first thing to learn is how to properly shake hands. Trust me on that one. Yes. I spent some time in squatters camps and upon approaching someone you were to openly extend your right arm, with your left hand holding your elbow. This way the person you approached knew you came in peace. I think it’s the same if you accept something from someone too. I even used to do it (or use both hands) when paying guys or giving them something. The nice thing about being a writer is that our eyes are always open for the next story. We see things that others miss. I’ve traveled to South Africa on six trips and I always feel the presence of the Holy Spirit among the people we know and especially the children we serve, Looking forward to reading your experience. My trip in 2007 was the start of a new life with a new church here in Nashville. Godspeed. Wishing you a safe and productive trip. You really lead the way and shine the light for online scribes – thank you. Beautiful. Have a safe and inspirational trip. For me, traveling means leaving my desk and driving to the closest Starbucks in this FRIGID New Jersey weather. I have to get out more. This is like one of the best posts I’ve read from you, each one is better and better, and such an eye opener, our words do matter and we never realize it, or I didn’t at least. Thanks Jeff, and I hope you have a great, safe trip! Hey Jeff, I’m a big fan of yours. I come from Kenya; happy to hear you will be spending some time here. I’m sure you’ll have a blast. Safe trip! Enjoy meeting Miriam — she’s a lucky girl — and enjoy seeing the center in Kenya. You are truly blessed in many ways, and the fact that you share those blessings is an answer to His calling. Safe journey! Thanks, Sherrey. It’s an honor to be a part of something so meaningful. I am really looking forward to reading about your journey! Will be praying for your safe travels and that you will be more deeply inspired than you ever have before. God bless. I am an atheist, an existentialist. And so, I don’t pray. Well, I wish you well! Best of luck and safe return with better stories! You will be blessed. We have started a school in a small village in India for children, especially girls, to help them escape the cycle of poverty. We have been grateful to folks in the States who have sponsored many of our children. We also have traveled a great deal and lived and adjusted to several exotic cultures. Best Wishes for a successful trip. You will probably never be the same. Thanks for going! Follow Emily Freeman as well and thinking she will be on your trip as well. Thanks for going and caring. I’m sure I have done other scary things, but vividly remember 4 years ago when we flew to the Middle East to see my daughter and son-in-law who live there. She is. I love Emily’s stuff. She’s an inspiration! Good for you Jeff. I think it’s amazing what you’re doing. Travel has never been anything that I’m passionate about, but I think it’s really cool to read stories about those that do. The last time I did something scary is right now, although I’ve taken the least scary approach…so far….I started a business part time while maintaining my full time employment. The scary part is just putting myself out there for people to meet, judge, and hopefully buy from. I say I took the least scary approach because I didn’t sever ties with my current source of income, once I do that, THEN I will have entered full scary mode. Good luck on your journey,Jeff. Looking forward to reading about it. Welcome home Jeff. Could I buy you a cup of Kenyan coffee when you are in Nairobi? I would very much to meet you in person, and connect our online engagement with a real handshake and writing conversation… over some great coffee of course 🙂 Pray for safe travels, and eventful encounters. Jeff, Prayers are with you on your travels. I think it is so cool that you can actually meet Miriam! I will be especially looking forward to your writing. Several years ago I took a trip to China that pushed my fear limits (I really do not enjoy flying – 12 hr flight!). Went up in to the mountains to minister to the Yi people and they live in mud homes and we lived in tents for about 3-4 days. The trip up and down the mountains were actually the most terrifying part of the trip! Wow! So, I am with you…I hope that it energizes your writing! Awesome! I greatly appreciate the reminder of why we should build a platform, to change the world. Congratulations, Jeff, for taking this on. How exciting to meet your foster child. Will be lovely to hear about her and inspire the rest of us to help out however we can in our own lives. Stay well, and wow, such a following behind you, here on line. Thanks, Sylvia. It’s fun to be a part of something that matters. Way to go, Jeff. I’m new to your blog and excited to follow your adventures. Thanks for following along, Francie! this sounds like an amazing trip and the center you started is another amazing thing. Well done man. I will be in on the tribe as soon as I am able, for now It is amazing to follow the wondrous work you are doing. For anyone or everyone facing the truth can be scary, it might also mean to face their fears at the moment. I believe that being honest and maintaining this quality through out our lives can be challenging. I had to pick up a legal battle against my employer to get my wages at the department of labor. I never wanted to be in conflict with anyone.situations forced me to do this and throughout the process I was nervous thinking about failure. After 4 months , I won the case and got my wages.It is really tough to pursue the truth but undoubtedly its all worth it. Since then i have never looked back and i strongly feel that we should never try to escape from reality.This is one of the scariest things i have ever did so far.. This victory has not only empowered me but also motivated me to be myself . Thank you Jeff for your brilliant writings and also providing a topic for your audience to write…. Good for you! I agree that life and writing can become a bit myopic if we don’t get out and experience the world. I am planning a trip to Asia in the fall for the same reason. I look forward to following your adventures. Safe and adventurous travels to you! Looking forward to following the posts of your journey. My wife and I have been sponsoring Compassion International student for years. We have never travelled to visit them but have brought many other Asian students to So CA to live a year attending high schools (kind of reverse missionary work) We currently have about 46 Asian students in homes here. Very cool. As a family of 5, we sponsor 5 children through Compassion. I’m hoping my kids will grow up with their “kids”. We make a point to write to our “kids” once every month. It’s so great that you’re able to meet MIriam. My oldest daughter went to South Africa and Uganda through Global Expeditions last summer and had an amazing experience. God bless and don’t forget to take your malaria meds as prescribed. On it, Dave. Thanks for the reminder! Just traveled to Uganda myself in December. It was, of course, incredible. But the biggest surprise was that it WASN’T as scary or unusual or different as I anticipated. The reason, I believe, is because people are the same the world over and God has equipped every person for all they need to live the good life. Uganda is incredible, as are it’s people. Have a great trip! Just now got here. It’s really beautiful! We pray for travelling mercies Jeff and that your family may be safe back home. Jeff, wherever you go you only spread good. Good luck. Thanks, Winnie. That’s nice of you to say. Wow, that sounds like a fantastic trip Jeff, and for a great cause too. Can’t wait to read your updates! Love Compassion International. Our family has been privileged to sponsor 4 children in Peru from early elementary all the way through high school. We picked Peru because my wife Kathy grew up there. We’ve been able to meet 3 of the children. Life-changing! Meeting them really helps us pray more specifically for the children and their family. Have a wonderful and safe journey. Yes, I believe everyone needs to “find their Miriam”. What really scared me? Starting my own business many years ago but I disliked what I was doing so much I didn’t think it could be more difficult. It was! But, it was difficulty I loved. Once you “leave the box” for the adventure, “scary” becomes a welcome companion. Excellent, Kathy. I like the way you put that. Absolutely! I’m excited for your opportunity too. Wow! What a milestone. Thanks for sponsoring, Laura. Beyond the money each month, it is the commitment to reach out through letters that makes the connection personal and real. It is my pleasure to sit down and write to our 18 Compassion children each month. I do my best to share love and encouragement and I am overjoyed when letters make their way back to our mailbox! 18?! Wow. You blog me away, Michelle. Incredible. Yes, five sponsored and thirteen as correspondents! They are all such treasures to our family! I was supposed to join you all on this trip but came down with a case of “pregnancy” so I had to decline. Praying for you all, though! Look forward to hearing about your experiences. I am debating about whether to do the next big but scary thing in my life. Please convince me that $40 does make a difference. My sponsored child still has to make bricks for a living, and has to walk 4 miles just to get to the Compassion center once a week. Robin, I have been on these trips also, and that $40 DOES make a difference. It’s not always about circumstances, but rather about perspective. The best way to release a child from poverty is to give them the possibility to hope and dream…and, in spite of their circumstances, these children ARE doing that! I have been guilty myself of looking at it from a “first-world” perspective. In my mind, I have thought that it doesn’t look like what I think it should…but then I see the children in their environment and in their element…and they are changed. Then I look at my own heart, and pray for that same kind of change to take place inside of me. All I can tell you is that I have seen these children and asked them what their sponsors mean to them, and you mean the world to your child. These children pray for sponsors, thank God for them, and keep every letter they send. It’s pretty amazing. They also are the most hope-filled people I have ever met. Robin, I love your question here – and YES your $40 makes a difference. The child may still need to walk for water and do work with the family, but because of your contribution, she will not die from malaria. She has a mattress to sleep on. She has soap for her family. She has a mosquito net. She will not die of a preventable disease. Releasing children from poverty does not always mean their lives will look like we wish. But it does mean she will be able to afford school fees and begin to have hope for her future so that perhaps the lives of her own children will look different than her life looks now. Thank you for asking such a good question. Hi Jeff. I live in Kenya and have been following your blog for over an year now. When I heard you were coming to Kenya, I was excited and would have loved to meet you. Can I still do that? My most scary but exciting moment is about to take place on 2/16/14. I’m going to Uganda as well to teach music at a missions school for 2-1/2 months. I have a music degree but have never taught in the classroom. So this is a new experience for me. I’ve seen poverty b4 and have also been in Zimbabwe & Kenya b4 with Youth for Christ International as a keyboardist for a Christian band – the worst was Calcutta, India. With a very limited budget, I’m piecing teaching materials together to come up with a curriculum, K-8. It’s overwhelming at times until I realize God’s already taken care of it. I just need to find it! LOL! But I’m going b/c I have a heart for those children who have gone thru unspeakable things. As you know, there are so many orphans b/c of what AIDS has done to their parents. You want to help everyone but it’s not possible. Jesus said we will always have the poor among us. So I guess we start one by one. 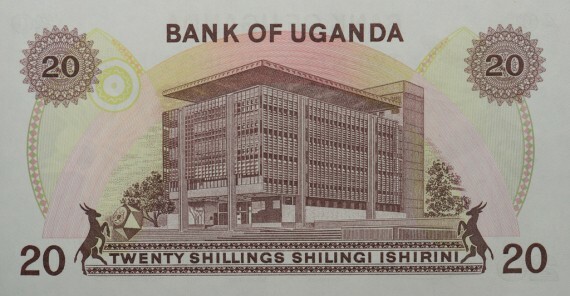 I want to thank you for your blogs of Uganda. It is good to see through your perspective.. God bless you as your heart follows after God’s heart! stupendous work done by you.